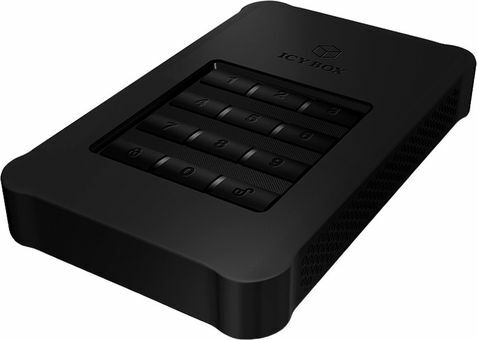 The IB-289U3 is a hardware encryption solution that protects sensitive data stored in the hard drive, with bullet proof security. The IB-289U3 solution does not store any password in the computer or the systems volatile memory, thus it is a far more secure solution than any software encryption. A micro USB 3.0 port brings diverse connection options with up to 5 Gbit/s. In addition, several LEDs show power, HDD access and encryption status. The enclosure is composed of a combination of aluminum and plastic and the additional silicone sleeve brings that extra protection against shocks or falls.